Developing a “Culture of Safety” is among the top trends of workplace safety management in 2013. Helping employees deal with taking on increased workloads: The ways in which safety managers handle this trend will be industry specific. For example, in warehouses in which employees are expected to move more cargo, the safety focus may be on preventing back injuries and slip and fall injuries. In more administrative environments, the safety focus will likely be on preventing carpal tunnel syndrome and helping employees to stay organized to reduce their stress. 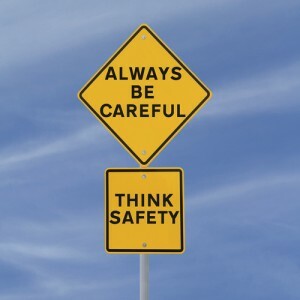 Developing a culture of safety within the workplace: This will involve safety managers educating employees on how to improve their behaviors and their decision-making skills so that they incorporate the notion of safety into their regular work days. Overseeing safety management programs on an international level: For larger companies with overseas operations, safety managers will be facing a challenge of making their corporation’s safety programs consistent – and consistently enforced – on a international level. The major challenges here will be dealing with language barriers, cultural differences and differences in regulations that other countries may have. Being prepared to deal with corporate-level attention to safety management programs: An increasing number of businesses are starting to handle safety programs at the corporate level. For those that don’t already, safety managers can expect to have the eyes of CEOs, CFOs and other corporate-level bigwigs focused on them in 2013.